PHN What’s New Tuesdays Featuring Future, YG, Trick Daddy, A$AP Twelvyy, Trina, Ugly God, and More! ~ Phresh Hott New! PHN What’s New Tuesdays Featuring Future, YG, Trick Daddy, A$AP Twelvyy, Trina, Ugly God, and More! 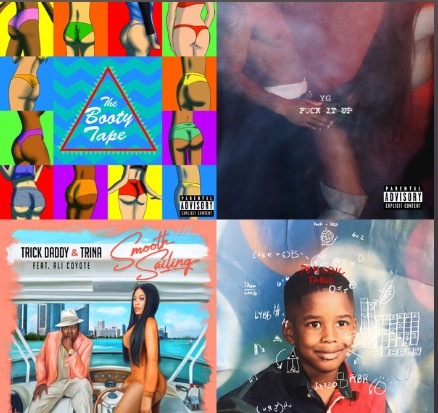 PHN What’s New Tuesdays: Future, YG, Trick Daddy, A$AP Twelvyy, Trina, Ugly God, and More. Phresh Hott New What’s New Tuesday’s Spotify Edition is here. We took what you love about What’s New Tuesday and put it on the Spotify playlist. This week’s playlist features songs from Future, YG, Trick Daddy, A$AP Twelvyy, Trina, Ugly God, and More. Take a listen to it below.